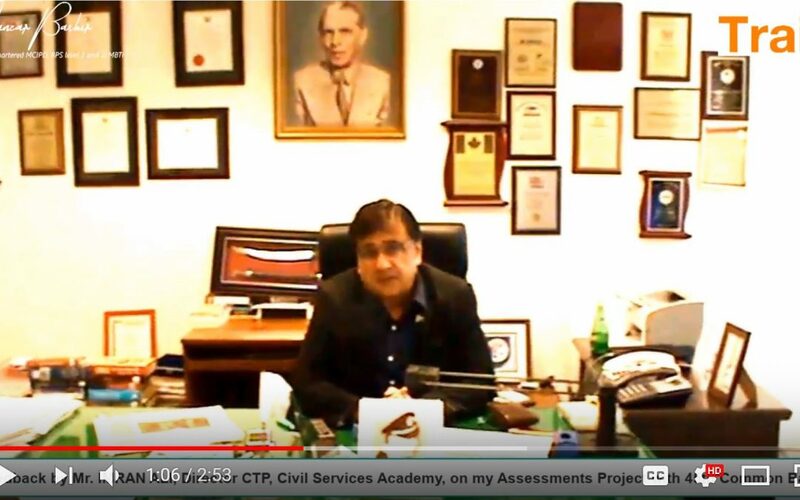 I worked on a psychological assessments project with the 45th common batch of the Civil Services of Pakistan. I ran The same assessments as used by the Civil Service of UK.The TRAIT assessment is mapped on Big Five and expands on to 13 personality scales and provides comprehensive development plans on each of 13 scales. The results were pretty insightful and here is what the Director Common Training Program at that time Imran Ali had to say about the impact that our assessments had.